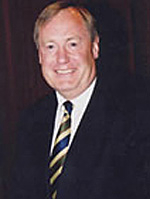 David Duckham is a former Coventry, Barbarians and England rugby player who won 36 international caps. He toured Australia & New Zealand with the British Lions in 1971. He was awarded the MBE for his services to the game in HM The Queen´s Silver Jubilee Honours List in 1977.